The Opening Ceremony for the 2016 Summer Olympic Games will take place Friday night, and the Christ the Redeemer landmark in host city Rio de Janeiro got a taste of Instagram July 28. 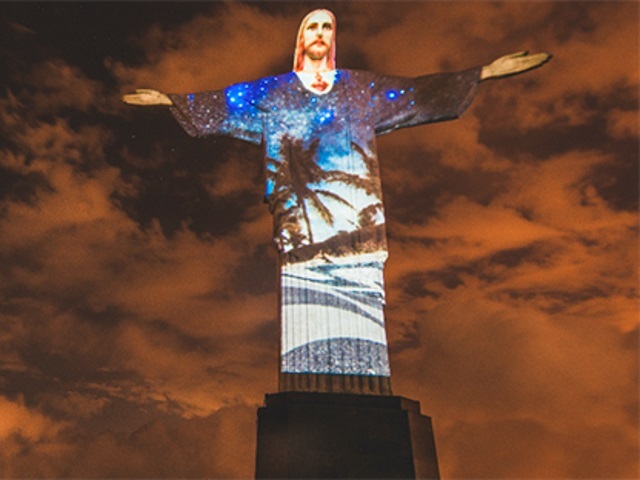 The statue was illuminated with projected photos from the city’s official Instagram account, and the event, hosted by Instagram and Team Brazil, also featured an exclusive pocket show from Brazilian singer and Team Brazil ambassador Ivete Sangalo. Instagram said in a Facebook Media blog post by Christian Rôças, who works on entertainment partnerships in Latin America for Facebook, that the Christ the Redeemer stunt will be repeated for Friday’s Opening Ceremony, as well as for the Closing Ceremony of Rio 2016 Aug. 21. Readers: Are you ready for Rio 2016?